A student in the south Indian region of Tamil Nadu has died after attempting to take a selfie in front of an oncoming train, only to be then struck by it. Identified as S. Gunasekharan, the 21-year-old engineering student was returning home following New Year celebrations when the incident occurred. Police said the young man died instantly after he tried to take the photo of himself with the train in the background. He was thrown some 100 feet, according to the Indian Express. An autopsy of the man's body is due to take place at Coimbatore Medical College Hospital, reported The Hindu. 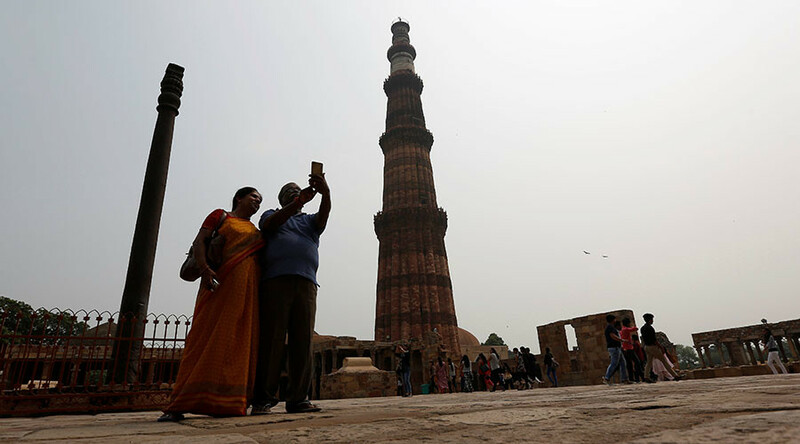 India is the top country in the world for so called “killfies,” which refers to deaths that occur while taking selfies. According to a 2016 study by Carnegie Mellon University, around 127 people were killed worldwide in the midst of taking photos and 76 of those happened in India. In May last year, an Indian teen died after accidentally shooting himself in the head as he posed with his father’s gun while he took a selfie.